Locals in the know head for Kuilau Ridge above Kapa'a on Kauai's Coconut Coast. It's one of several choices in the Keahua Arboretum (in the shadow of Mt. 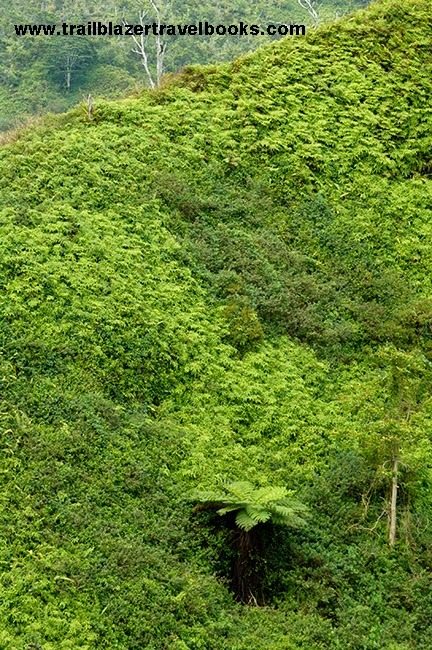 Waialeale, the rainiest spot on earth), and the arboretum area is just one among many choices for hikers looking for green immersion on the Garden Isle. The Kuilau Ridge—about 4.5 miles roundtrip, with some 500 feet in elevation—is enough of a hike to feel like you've been somewhere, without a huge investment in time, or having to rub elbows with the throngs at other trails like the Kalalau. The lush greenery is mind boggling. The views are suberb. In a couple of spots along the trail, drop-offs are a hazard, but the route is not dangerous for adventuring families. A picnic pavilion in a clearing is perfect for taking a break. 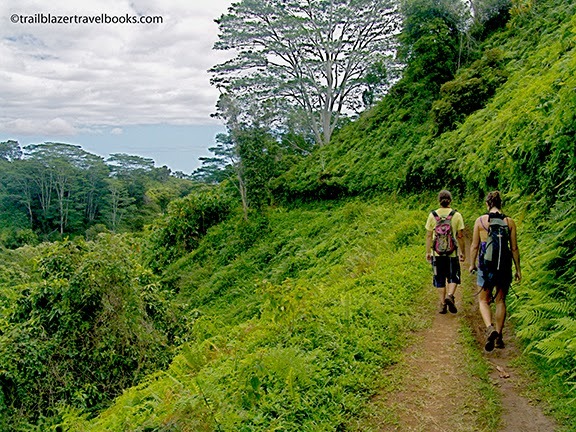 Find directions to the trailhead in your Kauai Trailblazer guidebook.